Our City Council approved an ‘’emergency resolution’’ [on the homeless issue]. This was done to obtain $500,000 in free grant money from State taxpayers. 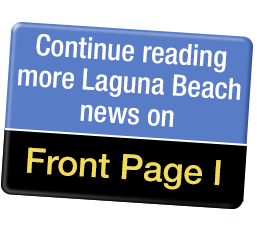 Both the City manager and I agreed...Laguna has done ‘’more for homeless’’ than any other city in OC. I opposed the Emergency Program...because for our Laguna the crisis is not a valid emergency. And, tax money is never free. Second, the majority of Laguna residents are weary of our village being a worldwide magnet for indigents. Living in Laguna is not a free right. Third, some hidden provisions coupled with this resolution may include waiving of health and safety ordinances during this so-called declared Crisis. Also the program speaks to opening all public property to homeless use and occupation. As a council candidate I requested the citizens be told what location in Laguna will be considered for such housing. I recoiled at the thought that our treasured Laguna Canyon or your neighborhood could be selected for such a degrading site to give homeless condos or apartments.